1. Download Kinomap on your iOS or Android device. 2. Pair your KICKR to Kinomap using Bluetooth Smart or ANT+. 3. Travel and ride the world from your home! 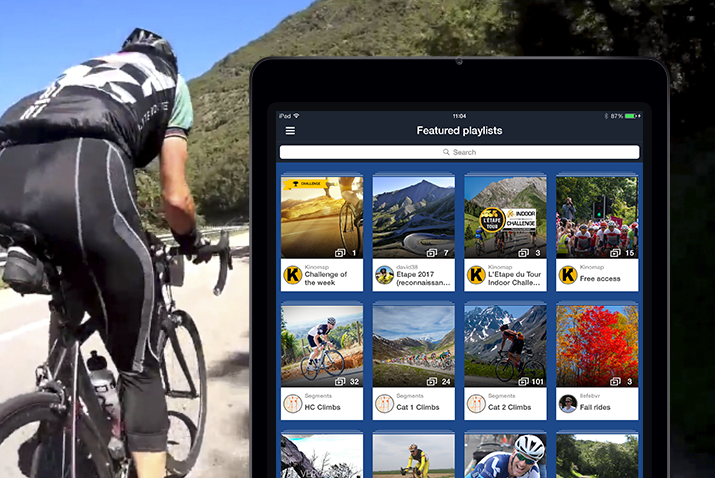 Get access to cycling videos in the Kinomap community by searching for a route by popularity, keyword, country, difficulty, duration, positive slope, and more! Most available videos are HD. You can even contribute your own videos. 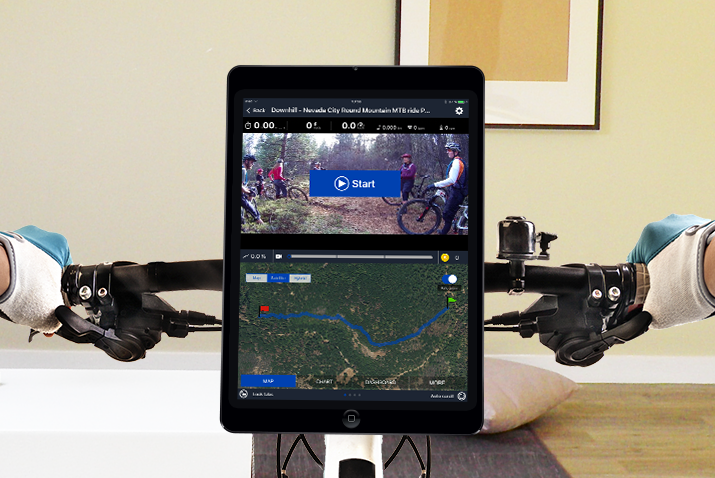 With Kinomap, there are multiple panels showing the video, the map, the elevation profile, a ride description, and a complete dashboard to view your instant power, speed, slope, distance, time, and heart rate. If you have an external display setup, you can transfer the video, the elevation profile, and dashboard to your screen and maximize the space for the map on the other screen. You don’t always have to have an internet connection to use Kinomap. With offline mode, you are able to download a video for later use. Kinomap keeps the history so that you are able to track improvements and progress over time. Which KICKR Trainer is right for your workout? 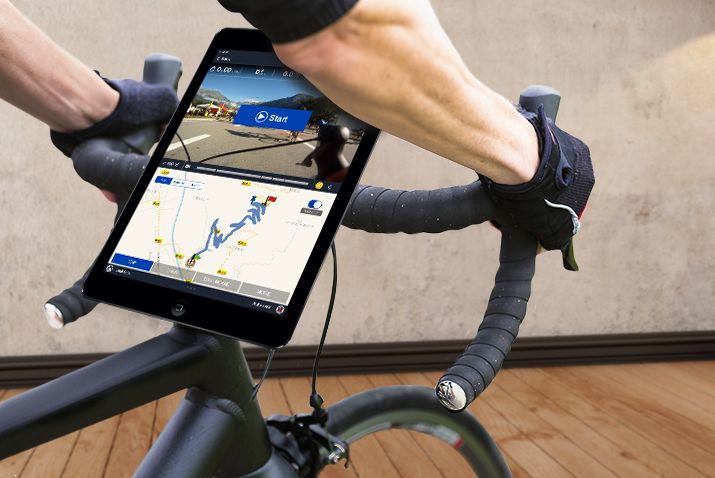 GET A FREE 60 DAY TRIAL OF KINOMAP WHEN YOU PURCHASE A WAHOO SMART TRAINER. Register your Wahoo KICKR or KICKR SNAP in the Wahoo Fitness app (iOS or Android) by entering your email address and serial number in order to receive your free 60 days of Kinomap. You will receive an email shortly after registration with your unique Kinomap promotion code and instructions on how to redeem your free 60 days. A subscription may be required later if you want to get access to the whole eligible content. Offer Terms and Conditions: Offer valid on any registered KICKR or KICKR SNAP Smart Trainer, including certified reconditioned or bundle purchases. Offer is for a free 60-day trial of Kinomap on any compatible device. Offer only valid for new subscribers to Kinomap. 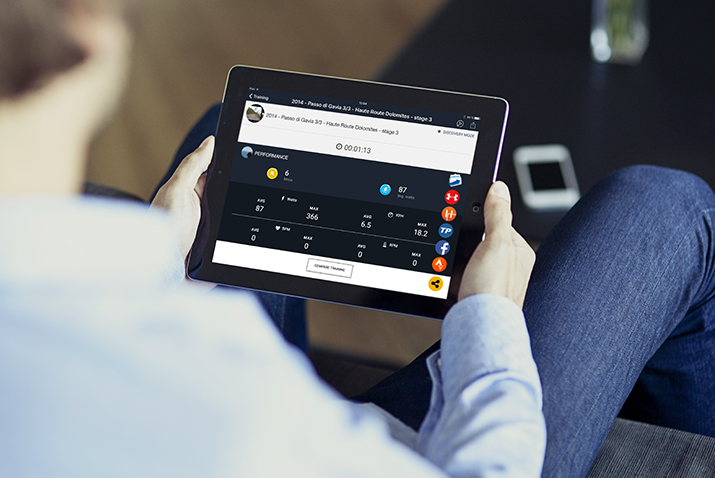 Promotion code must be entered when you create your account at https://www.kinomap.com/apps/trainer to receive your free trial. Promotion code is valid for one-time use only. Offer may not be combined with any other coupons, discounts, or promotions. Offer is non-transferable. Offer not valid for prior purchases, special orders, or taxes. For questions concerning Kinomap, please visit http://support.kinomap.com.